It’ll also get a V6 engine from Toyota rather than a BMW inline-six. One achingly suspicious fact about the upcoming Toyota Supra came in the disappointing news that it would likely not feature a manual transmission. That rumor had been whispered around by a few “official” sources and even seemed to be confirmed by a leaked BMW document more recently, but nobody could help but wonder what Toyota was thinking by omitting the stick shift from one of its most anticipated sports cars. A manual makes sense in a Supra, especially if BMW already designed one for its development cousin, the Z4. 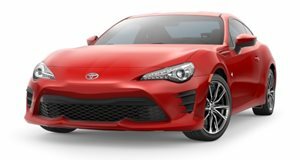 The fact that the GT86 exists is proof that Toyota hasn’t completely ditched the word fun. Luckily, a forum called ih8mud sat down for dinner with a man named Dave, who is an engineer working for Toyota. Dave appears to have spilled the beans on the Mk 5 Supra and as long as he’s right, it seems that the Supra will be much better than we all thought. Most of the conversation regarded the J300, the successor to the current Land Cruiser J200, but the very end had some juicy Supra news. Dave started out by saying that we could expect the Mk 5 Supra to be released in early 2019 with both a gasoline engine and possibly a hybrid variant. This time, however, we’ve learned that the Supra may not get a BMW 3.0-liter inline-six powertrain. Instead, it will get a 3.5-liter turbocharged V6 from Toyota. Total power output is expected to be in the neighborhood of 400 horsepower, although Dave didn't specify whether or not that would be attained with the hybrid drivetrain or the V6 alone. Most importantly, perhaps, is the fact that the Toyota man did say that customers should expect a manual option to be available. There’s a chance that Toyota unveils the new Supra at the 2019 Tokyo Motor Show with proportions similar to those of the BMW Z4. If this is true, it’s exciting news for Supra fans, even if it does contradict previous and slightly more credible reports on the Supra. Expect the rumor mill to keep churning until Toyota puts a rest to it by finally releasing the damned thing.